I am terribly behind in my Project Life memory keeping this year. Although I’m fairly up to date with getting my pictures edited and developed, I have not gotten them in the album. I also have much of the memorabilia together so it’s a matter of choosing the page sizes and orientation, printing off some blog journaling, and I’ll be on my way to getting caught up. But since I’m going out of town for a weekend of scrapbooking (where I hope to get caught up on Project Life), I thought I’d include some links that will help explain and motivate you to give this method of capturing life’s memories a try. 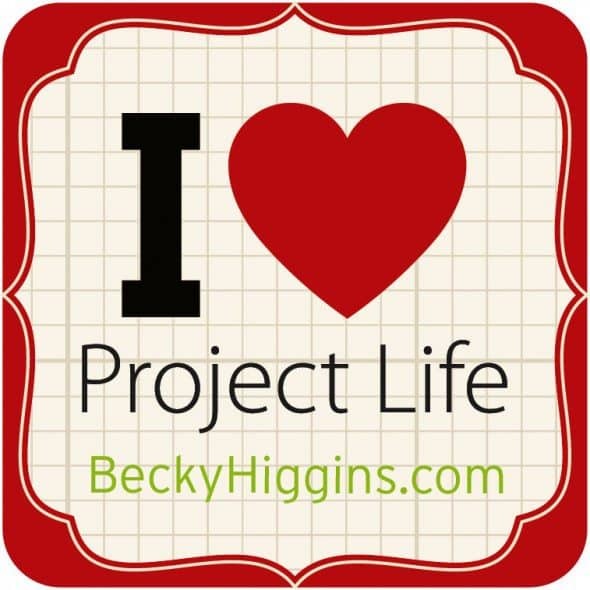 Becky Higgins is the creator of Project Life. I first came to know her work through Creating Keepsakes magazine and the books she wrote on scrapbooking. Her style is simple with an emphasis on the story and the pictures. In 2009 she produced her first Project Life kit and since I didn’t order it in time I put together my own version, using cards I made and the page protectors that I bought. In this post I compared my PL pages through the years. It is so much easier to use Becky’s kit that is put together for you, especially if this is your first experience with it. Becky’s website has an incredible amount of information on it. Here is Becky’s Products Page with a video explaining the premise behind Project Life. Her blog is more personal and allows you to get to know the woman behind the idea. Here are the FAQ’s and if you are a digital scrapbooker this is the link you should investigate. If you’d like to see more from the leaders in this field go here and follow the links to their blogs. There is a wealth of information for you to absorb and experience. I get no compensation for my rave review of Project Life. (Unfortunately, Amazon does not allow affiliates in NC because of some tax situation with the state or some sort of silliness. Shoot!) I just believe in this product and my family probably enjoys looking at these albums most of all. They capture life at its finest: our silliness, our traditions, our annual photo adventures and our joys.